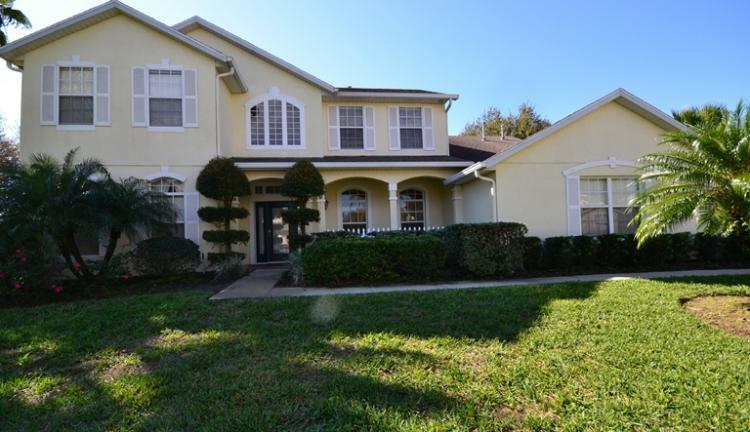 Set in large, lush gardens, The Keys Villa gives you a touch more luxury than many vacation homes. 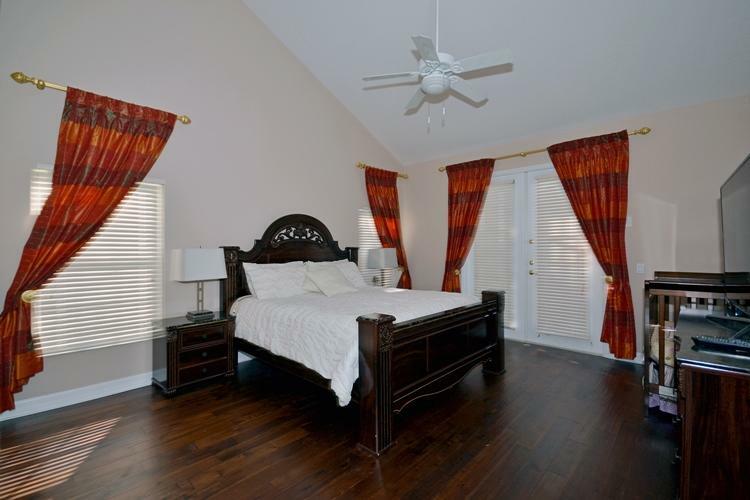 On the first floor, there are 4 large bedrooms, all with natural wood flooring. Two of the master bedrooms on this floor have their own bathrooms which have been designed with individual touches for the “wow” factor that you would expect of a home of this calibre. A third bedroom has been decorated with children in mind, offering a single top bunk bed and a full size bed underneath and it has its own individual bathroom. The fourth bedroom, also with its own bathroom, has direct access to the pool area, offering a beautiful way to wake up each day! Also on this floor, is the beautifully decorated formal dining area with an access door through to the well equipped kitchen for impressing your diners! 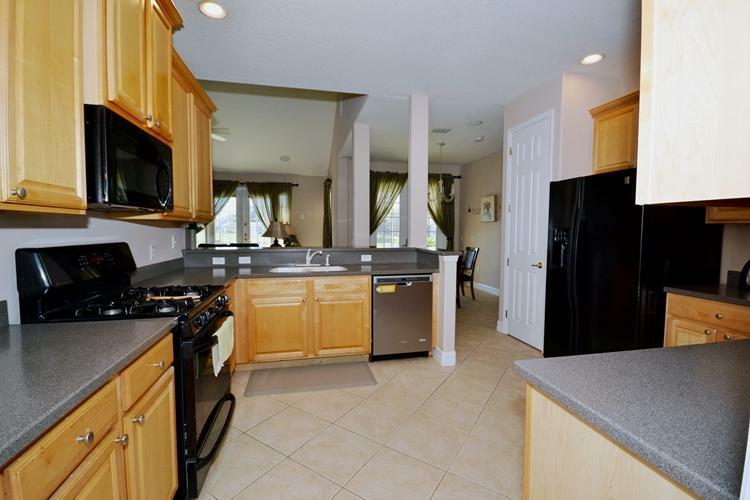 The breakfast area and family room also adjoin this area for when you are in the mood for something a little less formal. There is also a laundry room on this floor to use if you choose! 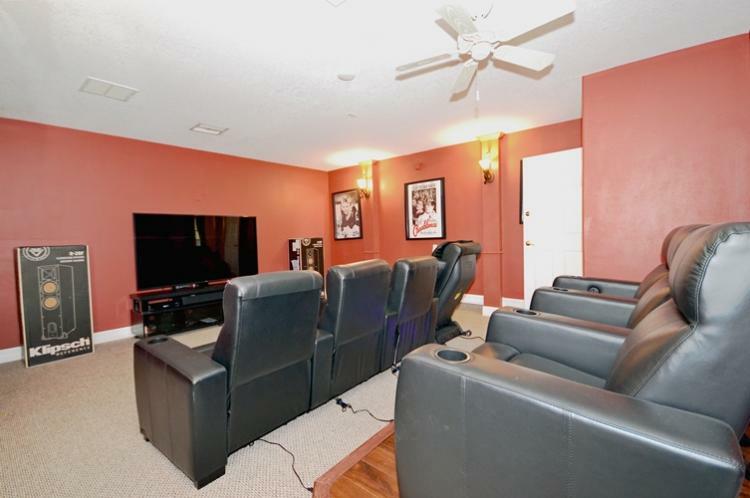 One of the unusual but wonderful features in this home is the Home Theater room, complete with relaxing seating and a large cinema style flat screen, wall mounted TV and a massage chair! Perfect for a family movie night. 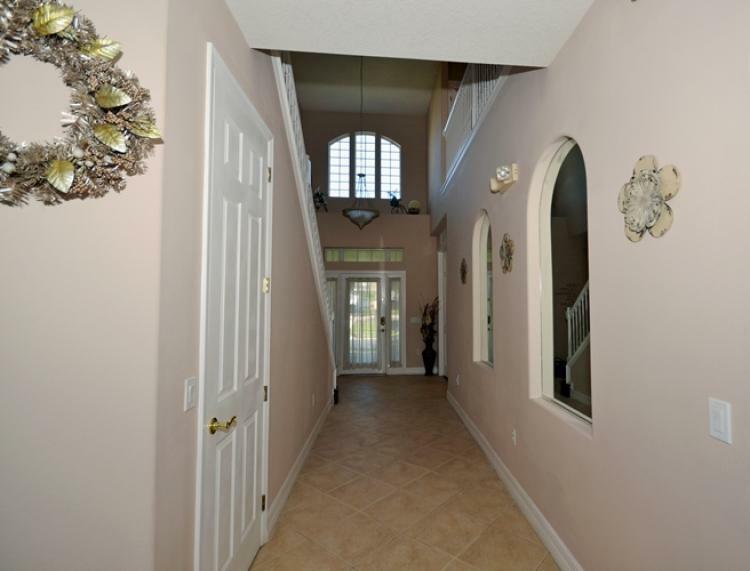 This vacation home is set on two levels and the wooden staircase leads upstairs to a further three bedrooms. 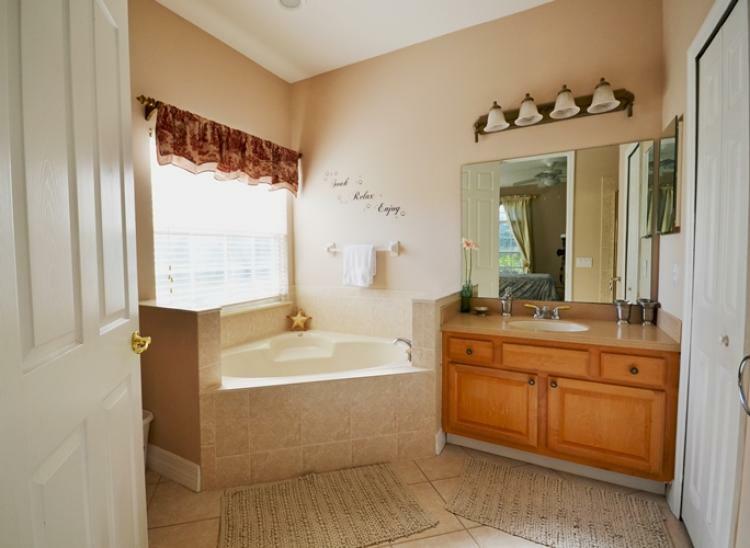 The upstairs master bedroom has its own ensuite and the other two twin rooms share the sixth bathroom. Again, the décor in the twin rooms has been done with children in mind to ensure smiles all round! 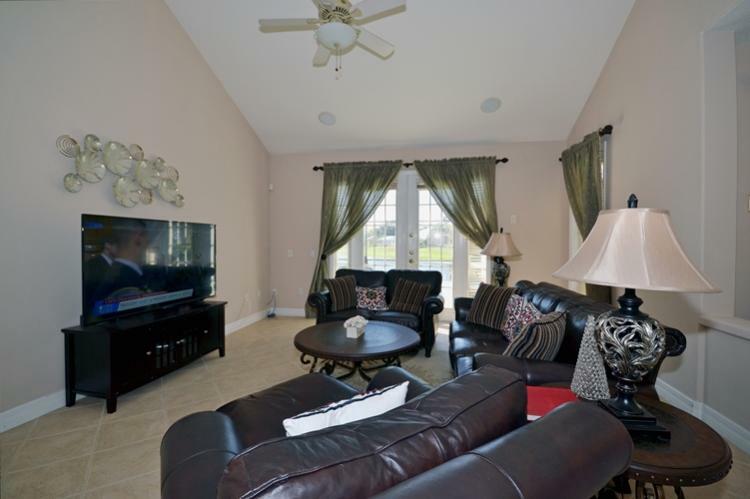 Of course, all the bedrooms have been equipped with flat screen TVs and WiFi is included in the home. Outside, the pool and spa are there for fun for everyone. 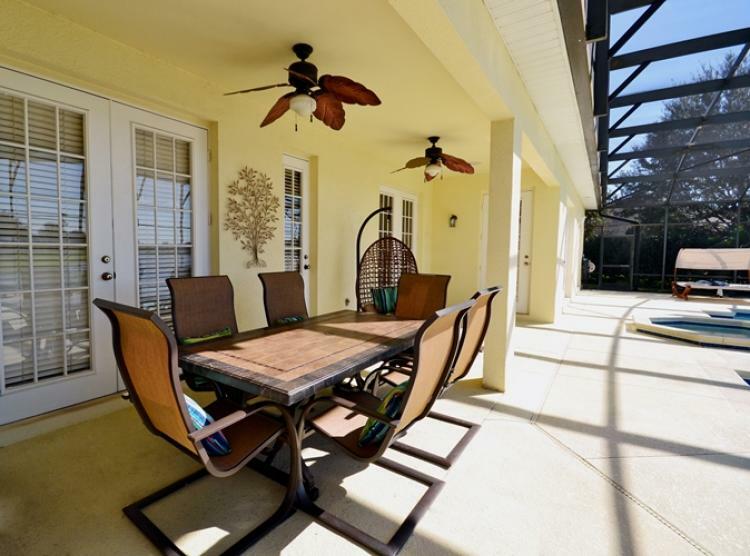 When you need a little shade, just relax under the lanai while overlooking the peaceful lake. It’s a perfect area for outside dining too! 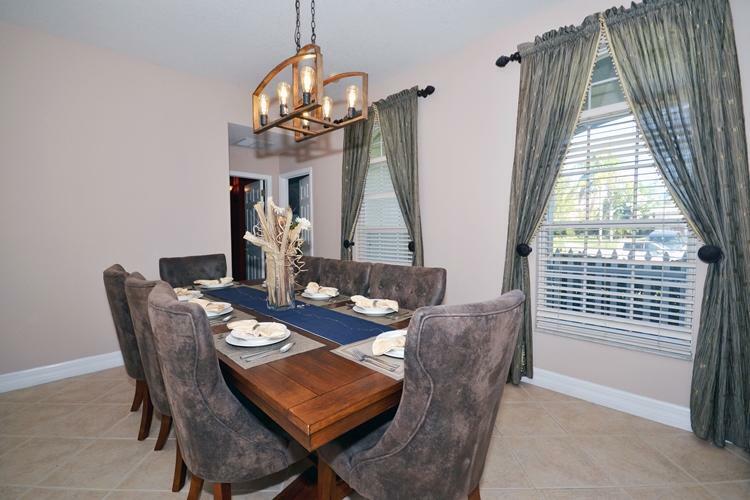 Formosa Gardens is an upscale community, close to good restaurants, shops and the theme parks. What more could you ask for?